Last week, in our blog, “Is a Fence worth the Investment? Hercules Fence of Virginia Explains,” we outlined the many benefits of fence installation: curb appeal, home value, security, safety, privacy, noise reduction, and much more. So, why haven’t you jumped at the opportunity to have a new fence installed around the perimeter of your northern Virginia home? Is it because you haven’t found the right fence company? Well, look no further! Hercules Fence is the largest fence company in Northern Virginia (well, all of Virginia for that matter). With the buying power of a large fence company – meaning we can buy the fence you want at a price you will love – and the attention to detail and customer service of a father and son operation, Hercules Fence is the obvious choice for all of your fence installation needs in Northern Virginia. We take great pride in our work: installing high quality fences at affordable prices. Please take a moment to view our many residential fence offerings: Custom Wood Fences, Ornamental Steel Fences, Ornamental Aluminum Fences, PVC Vinyl Fences, Chain Link Fences, and more. 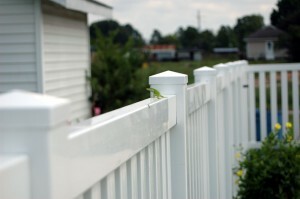 Hercules Fence can also handle your commercial fence installation needs. We can customize and install a commercial fence specifically designed to fit your business needs. Our experience encompasses secure chain link fencing, crash-rated barriers, anti-terrorism cable and even ornamental anti-climb fences. When you contact Hercules Fence of Northern Virginia, we will help you choose the right fence for your home or business. We will listen to your wants and needs and offer several fence installation solutions that fit the design and functionality you desire while staying within your budget. If you have any questions about residential or commercial Fence Installation in Northern Virginia, please contact Hercules Fence of Northern Virginia today by calling (703)551-2609 or visiting our website. Also, check out Hercules Fence of Manassas on Facebook, Twitter, Google+ and YouTube! This entry was posted on Friday, February 28th, 2014 at 3:47 pm. Both comments and pings are currently closed.